Let students dive into robotics, programming logic, and structural design with LEGO Education WeDo. They will use pulleys, levers, and sensors to construct snapping alligators and spinning robots, then program them with the WeDo visual drag-and-drop software. 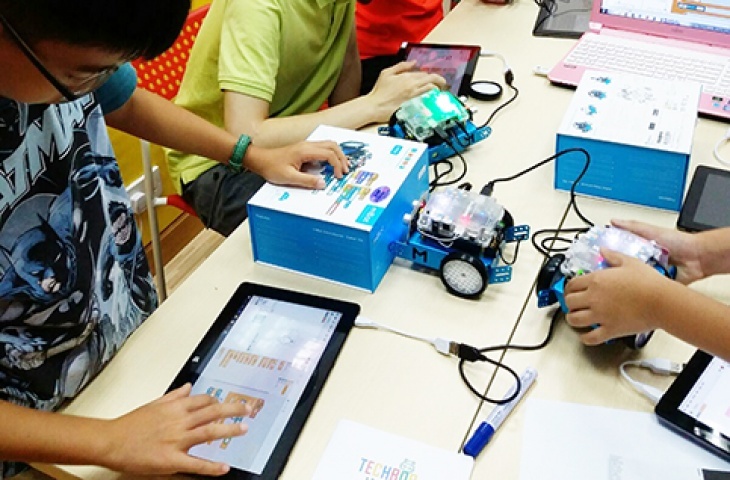 Students will build a strong foundation of coding and robotics skills for their tech future. Students are taught engineering basics with an emphasis on exploration and trial and error field testing. Instead of simply “snapping bricks together,” students are encouraged to think critically about how and why their design needs to adapt to changing conditions. Guided, personalized instruction allows younger kids to understand more complicated engineering techniques such as gear use, pulleys, and inclined planes.